All these chairs use natural fibres to form the seat. From left to right, Rush, Sisal cord, Woven split cane and Sea-grass. Natural fibre seating is hard-wearing and breathable. 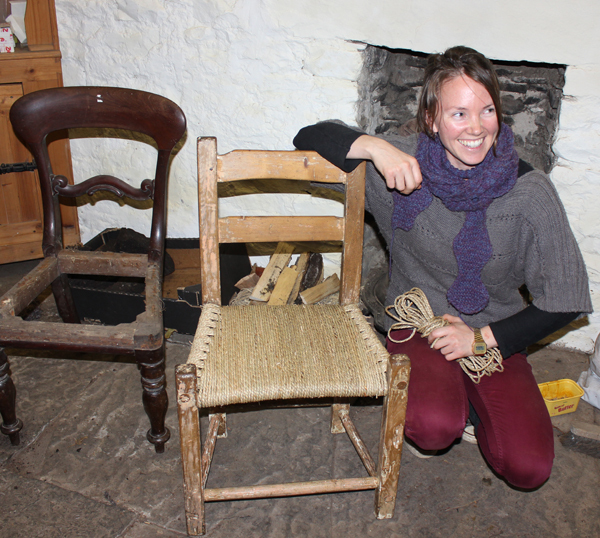 We replace worn, broken or damaged cane-work in chairs. 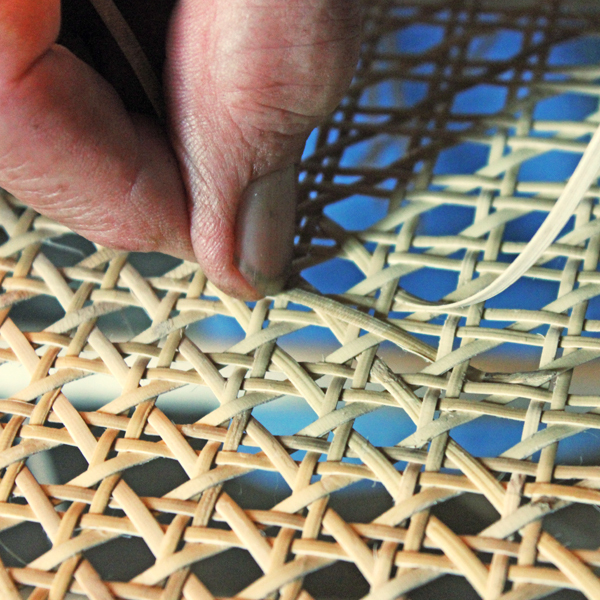 The work is slow because in traditional cane-work, each strand is individually woven to form the seat. Scroll down to find estimating calculation for the cost of cane-work. Natural and continuous rolled rush and rolled paper rush substitute all have applications in seating furniture. We recommend replacing like for like. 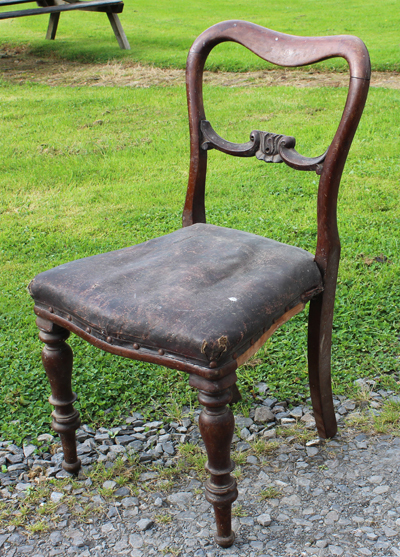 A popular alternative to laid twines – traditionally used in small seating especially stools. 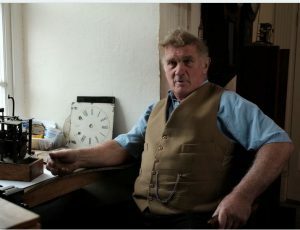 How to cost hand-woven Cane-work. Cane-work is slow and expensive work so here is a rough guide to estimate the cost. The cane work has a length, L and a width W, along the length the greatest number of holes is NL and along the width, the greatest number of holes is NW. Measure the length L and the Width W in metres and count the numbers of holes. Multiply L x NW and add it to W x NL. Multiply the answer by 6 to give the price in Euros. This is only a rough guide and for accurate pricing we need to see the piece or at least pictures of it. Most cane-work is roughly square, made up in a 6-way weave, two warp, two weft and two diagonals, but if there is a fan pattern or island or some other complexity built into the original weave or if it is double sided, the work will be more expensive. 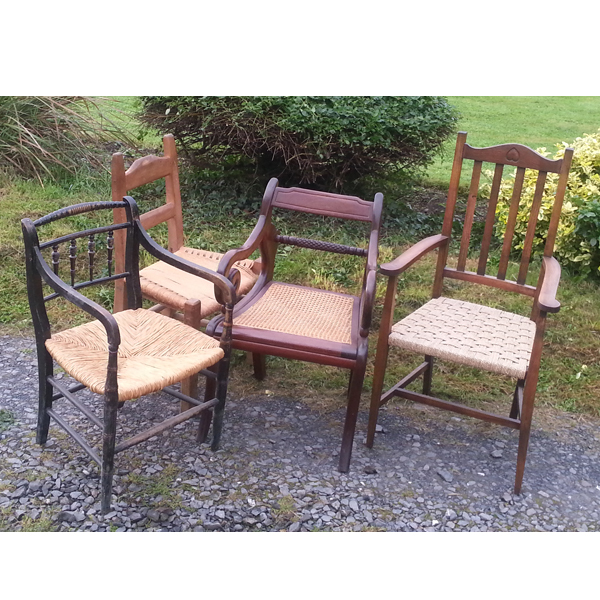 We can re-seat traditional Irish country chairs in a variety of natural fibre materials. Quite often the spindles need to be replaced – no problem.